Disc containing Hi-res JPEG images taken during your shoot. Their use is unrestricted making them invaluable for reproduction and distributing among friends and families. They can be printed anywhere or even uploaded to websites and social networking sites like Facebook etc. Hi-Res - excellent for prints and can be printed up to 24" x 16" without loss of quality. Our Prints are very competitively priced and are of the highest quality. All Frames are hand-made to the highest quality by a local (Huddersfield) Professional framing company. They are bespoke to each order. We only show the most popular sizes but we are happy to quote for any size, small or large! Why not give your Living room the gallery feel and choose a Canvas Wrap? They are made using only the finest materials and are coated to help protect them against general grime. The inks are guaranteed against fading for 50 years. £350 - Special Offer - Buy Majestic 9 and get 50% OFF any Disc offer! The super Majestic 12 range, this outstanding (35" x 27") frame is just as above but it's designed for someone looking for the best! 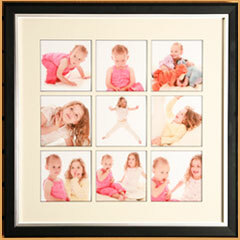 They are available in many different frames and styles. They are very eye-catching and really need to be seen to be believed. £399 - Special Offer - Buy Majestic 12 and get 50% OFF any Disc offer! We have other examples on display at our Elland Studio and you are more than welcome to visit us to view them. We will gladly discuss any deals not listed here so please feel free to call or mail us.